More questions. How can I get the label/question to not be bold? I know how to change the font, but not the style. Also, Is there a way to change the font for the hint text? Even thought I changed the font family, this does not appear to change the hint text for the textarea. 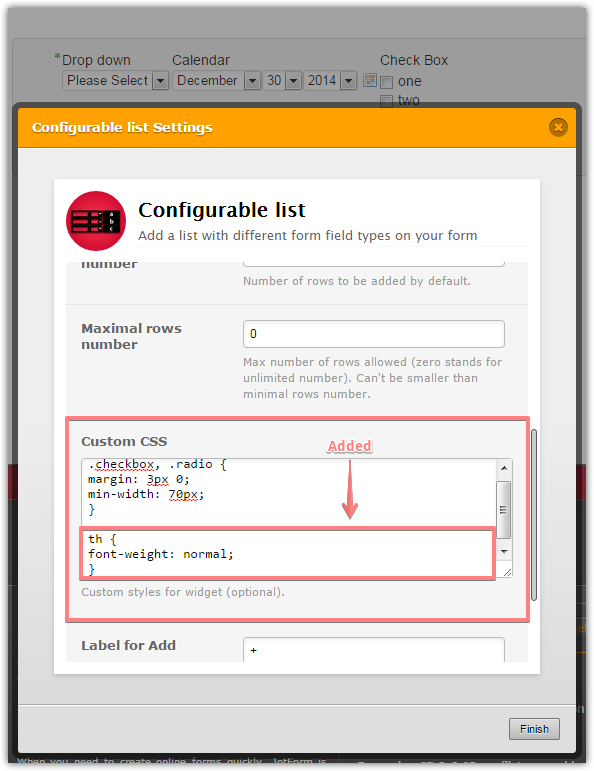 This is possible to inject the following style to the widget Custom CSS section in order to change the font on widget questions from bold to normal. If I misunderstood the question and you would like to change only the widget label font weight, please let me know. The other question will be addressed via a separate thread.